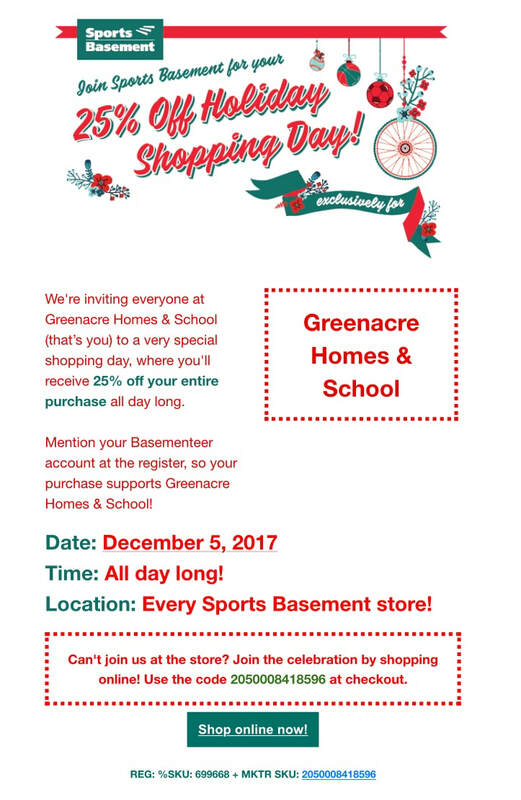 On your next visit to Sports Basement, register as a Basementeer and select Greenacre School as your beneficiary! OR sign-up now by CLICKING HERE.​ We are very excited to be a part of the Sports Basement community and thank you in advance for becoming a Basementeer. And don't forget to tell your family and friends!